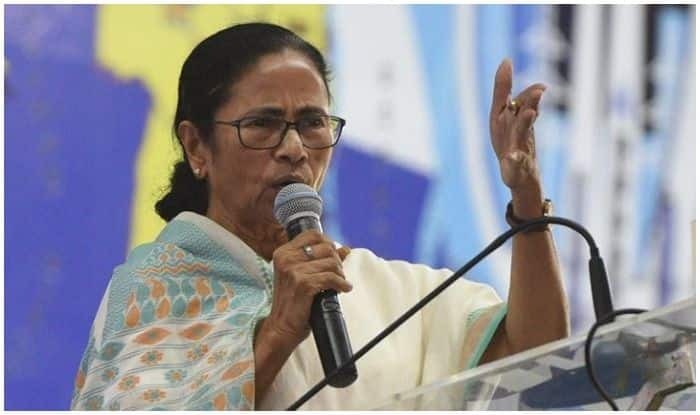 New Delhi: West Bengal Chief Minister Mamata Banerjee on Friday targeted Bharatiya Janata Party (BJP) and said that if there is a movie on Accidental Prime Minister then there should be a movie titled as Disastrous Prime Minister. She said this while addressing a gathering in Barasat town. She also said that the movie will be made in future and no one will be spared, news agency ANI reported. On January 10, the Supreme Court had declined an urgent hearing to a PIL filed against the Delhi High Court order dismissing a ban on the release of the trailer of ‘The Accidental Prime Minister’. Earlier, the Delhi High Court had dismissed a PIL which sought a ban on ‘The Accidental Prime Minister’ and its trailer on allegations that it defamed the constitutional post of the prime minister. A bench of Chief Justice Rajendra Menon and Justice V K Rao had said the petitioner has no locus standi to file the plea and private interest was involved in it. Meanwhile, Shiv Sena leader Sanjay Raut had said, “After Narasimha Rao, if the country has got a successful Prime Minister, it is Manmohan Singh. I see him (Dr Manmohan Singh) as a successful prime minister rather than an ‘accidental’ one”. ‘The Accidental Prime Minister’, a film based on Singh’s tenure as India’s prime minister from 2004 to 2014, has become the epicentre of a political slugfest, with the Congress alleging it was the “BJP’s propaganda” against their party. Meanwhile, actor Anupam Kher, who is essaying Singh’s role in the film, called “The Accidental Prime Minister” his ‘life’s best performance’. He also said the film should be seen as a creative endeavour and not an attempt to support a political party.